I found this bottle of Royal Stag whiskey in Tiruvanmayur beach this morning. I clicked this picture to write a blog on it so that this bottle reaches its owner safe and sound. 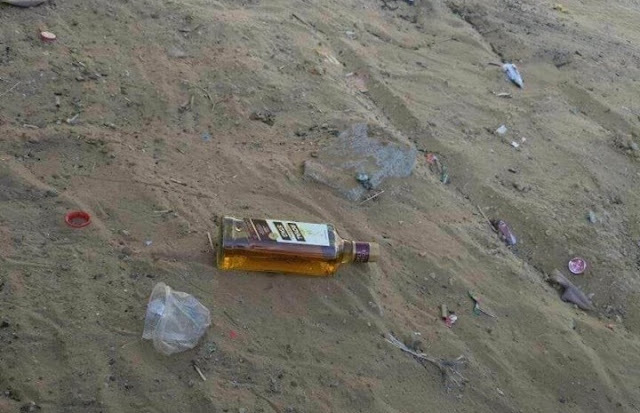 I understand that it is an irresponsible act on the part of the owner to leave a full bottle of whiskey at the beach. But I also believe that a misplaced object should be sent back to its rightful owner. Please share this blog as much as you can till the owner sees this. Can you please this do this help and make our country a better place to live in? But my friend Vidhyashankar just reminded me that may be the bottle wanted to be alone as he is a STAG. He has a strong point too. But I don't want to leave him alone.